Roanoke Island is a fascinating place. Fred and I spent an afternoon there recently while on a visit to the Outer Banks of North Carolina. We were familiar with the stories of The Lost Colony and of Virginia Dare since grade school and wanted to spend a little time pondering America's first mystery. What happened to those 115 men, women and children who were brave enough to explore a new continent? Why was nothing left of their encampment but a palisade and the words CRO and Croatan carved into neighboring trees? The many theories include a massive Hurricane, severe drought and assimilation into native American tribes. Did they move inland to find a more hospitable environment? Were they attacked by Spanish explorers eager to claim the coast land as their own? Did they succumb to a contagious disease? There are many questions and no concrete evidence from which to draw conclusions. Fred believes the Hurricane hypothesis while I prefer to believe that the settlers were adopted into Native tribes and became the first additions to the melting pot of our United States. 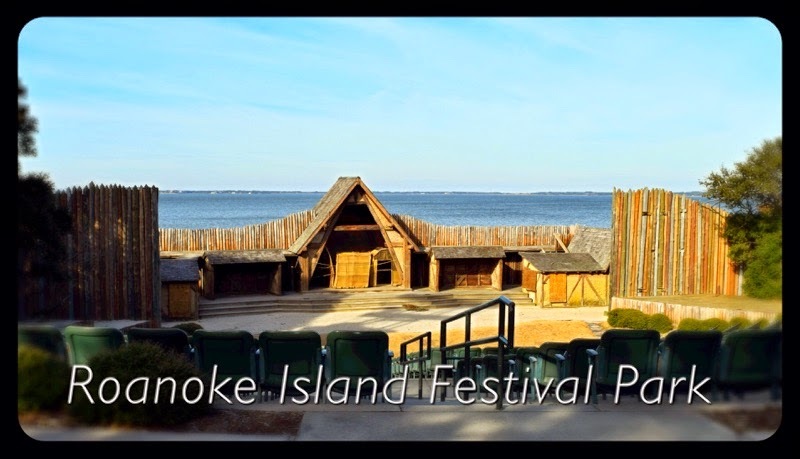 The story of the Lost Colony of Roanoke Island is retold every Summer in Fort Raleigh. The symphonic drama was written by North Carolina native Paul Green. Entering its 77th season the production is performed in an outdoor amphitheater, under the stars, against the background of the Albemarle Sound. What was new to us is the role that Roanoke Island played during the Civil War. The quiet isolated life of Roanoke Island was changed forever when General Ambrose Burnside approached it with a fleet of 66 shallow draft boats and 20,000 troops in February of 1862. The 2 day battle resulted in a Union victory, and opened the intercostal waterways to invasion by Northern troops. The water ways provided a back door route to key southern cities like Plymouth and New Berne North Carolina and Norfolk Virginia. Once the island became Union territory it's slaves were decreed Contraband of War and freed. The island became a destination for runaway slaves from inland North Carolina who once they arrived on the island were declared freedmen. A Freedmen's Colony was established in 1863 to provide housing, supplies and education by missionary teachers to freed slaves in an attempt to prepare them to be self supporting. Sadly overcrowded conditions, land poorly suited to agriculture and lack of supplies from the North doomed the social experiment to failure. The end of the Civil War was also the end of the Freedmen's Colony as all lands confiscated during the battles were returned to their original owners. Roanoke island is designated as a site of the National Underground Railroad Network to Freedom. We enjoyed our visit to the park. We spent a beautiful sunny day walking amounts the Spanish moss covered trees and imagining the events of the past.